Four years ago we visited Powis Castle, in Wales. We had a few days out within a couple of hours drive from my parent’s house in the English/Welsh border in Shropshire. James was just one, and we had glorious weather! 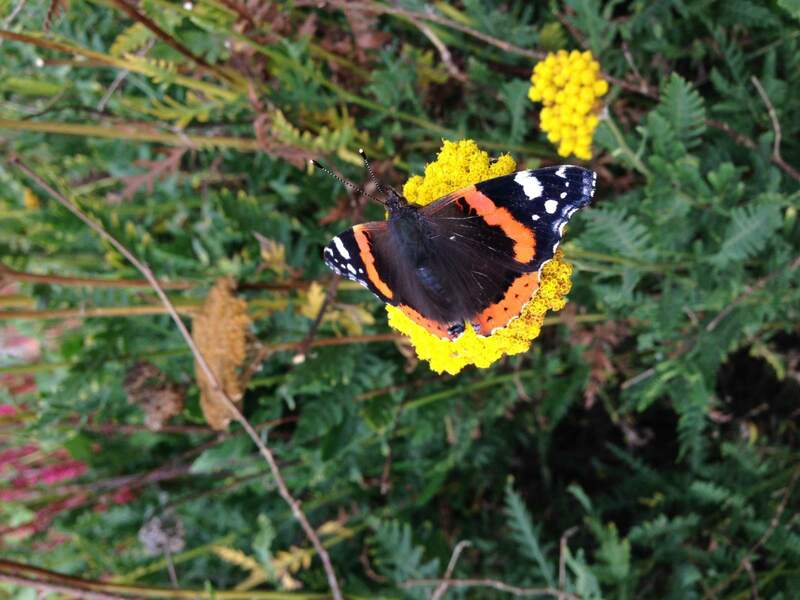 A last burst of loveliness before autumn hit in 2013. Our day out in Powis Castle was on this day in 2013. Thanks to the “rediscover this day” feature for reminding me about this beautiful place! 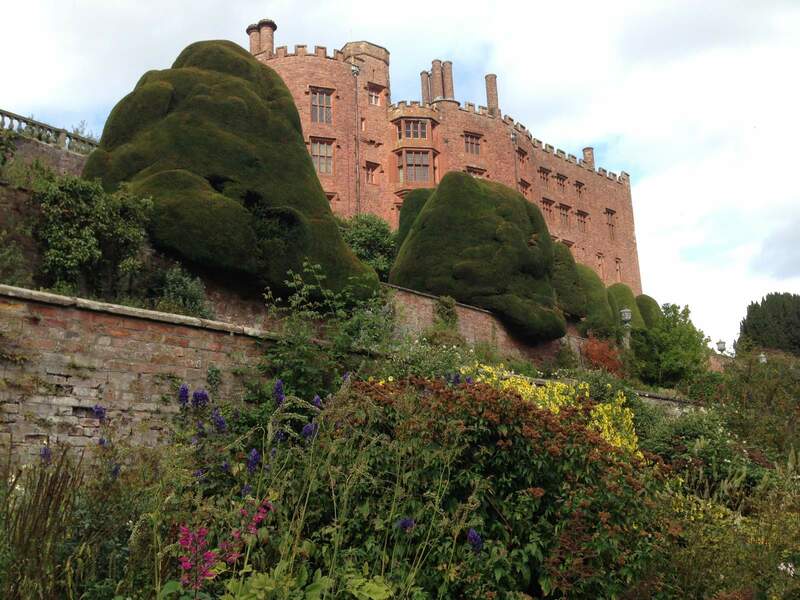 Ancient castle walls towering over world-renowned gardens set the stage for a visit to Powis Castle and Garden. In addition to a vast collection of artifacts from India housed in the Clive Museum, the estate highlights cultivated, formal gardens influenced by Italian and French styles. A wooded ridge just opposite the castle hides sculpture among the great oaks and rhododendrons. The grounds offer organized treasure hunts for children and croquet on the games lawn for adults. You’re welcome to explore the medieval deer park, however, any pets must be left at home. Powis Castle has some gorgeous peacocks strutting about the yard. We spotted lots of peahens, and even some peachicks. There’s a cafe with outside seating in the courtyard, so you can eat lunch or afternoon tea while peacocks do their thing about your legs. Quite exciting for toddlers, I can tell you! 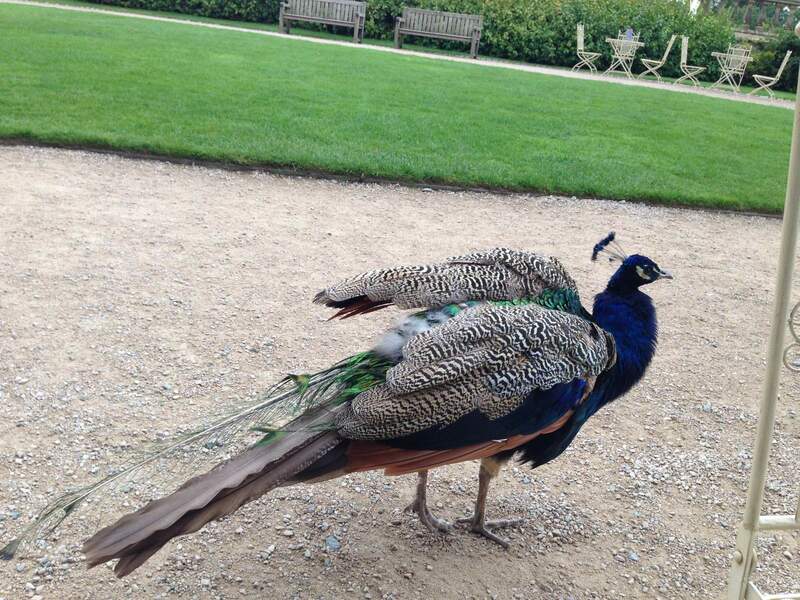 When we got back to nursery after this visit to Powis Castle, James told his friends and the staff all about the peacocks, and very little else! When you are in the courtyard, if you peek over the wall, you will see that you are very high up. This is not a wall for toddlers to walk along! The views are spectacular; you can see right over the Severn Valley. From here you can take a tour of the castle. No cameras are allowed inside. There is a fascinating exhibition in the Clive Museum, of artifacts from India. It takes about 90 minutes to walk around inside, and you should know that it’s quite dark in there! No lights are used to protect the interior. On the ground floor a guide with an ipad is able to show disabled visitors pictures of the upper rooms and give a virtual guided tour. I think that the upper floors might be tricky for disabled visitors to access (telephone to check 01938 551929). There are baby changing facilities, and the room we were shown to was a very peaceful, large space without toilet. So just for nappy changes and a bit of a calm down time, perhaps. 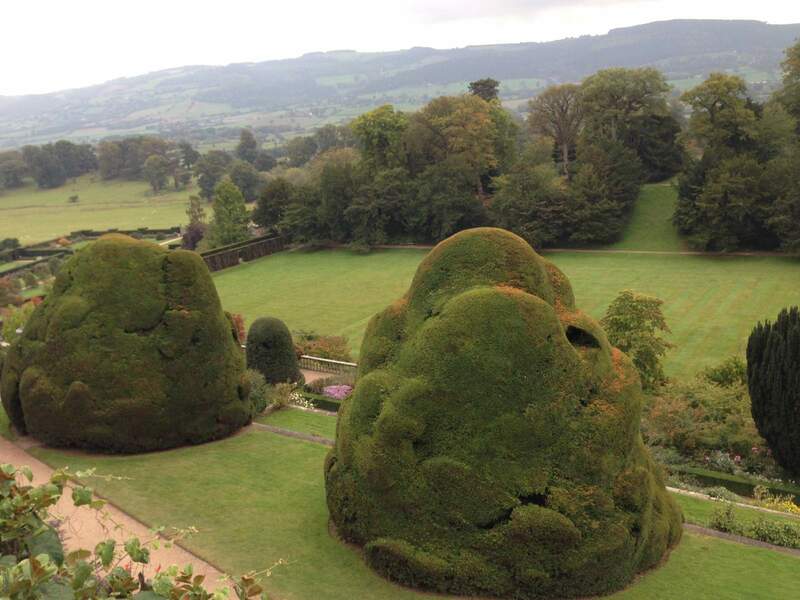 The gardens are absolutely amazing in Powis Castle. We spent a long time exploring the Italian gardens and terraces. 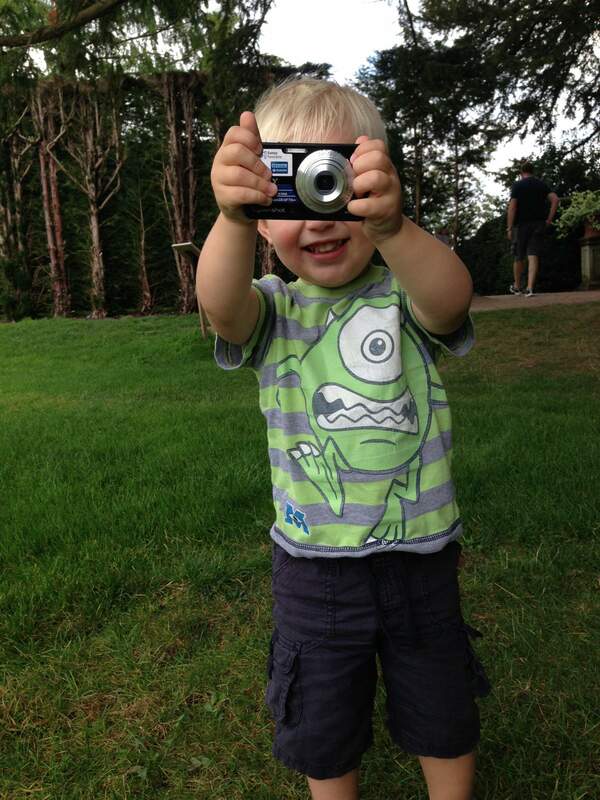 We gave James a camera so he could take some photos of things he liked to see. In fact he spent most of the time taking photos of me, while I was taking photos of him. We had visited on a lovely sunny day so we really enjoyed our run around. We discovered, and have seen a few times since, a plant that smells like chocolate, among other gorgeous flowers. 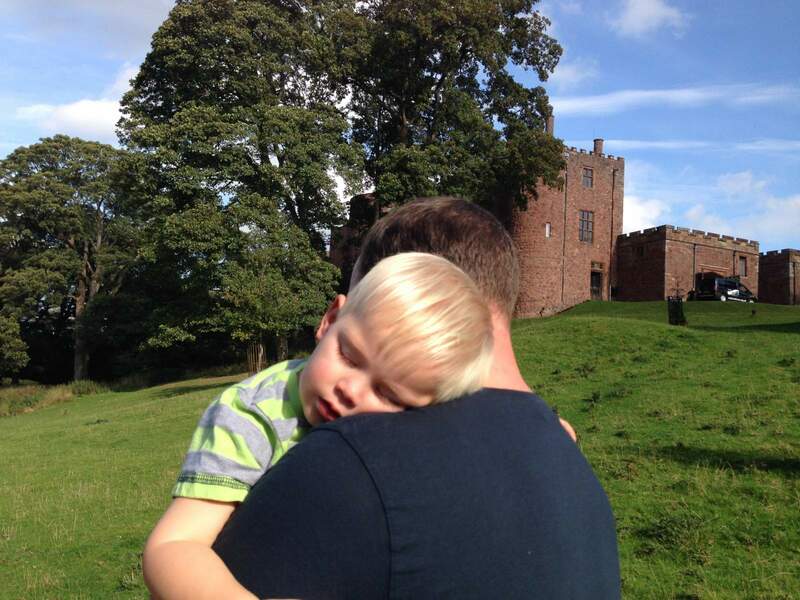 After a very full, and busy day out at Powis Castle, we had a toddler who didn’t even make it out to the car awake. It is a long walk from the castle to the car park, and the terraces require a certain level of fitness (though there are plentiful benches, as you might expect in a National Trust Property). 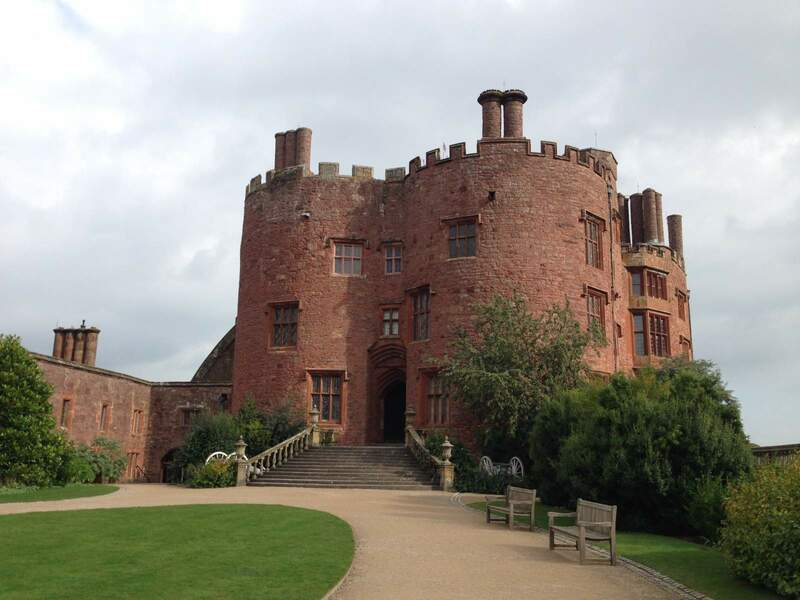 Have you been to Powis Castle? Plan your next day out using this free, customisable trip planner. 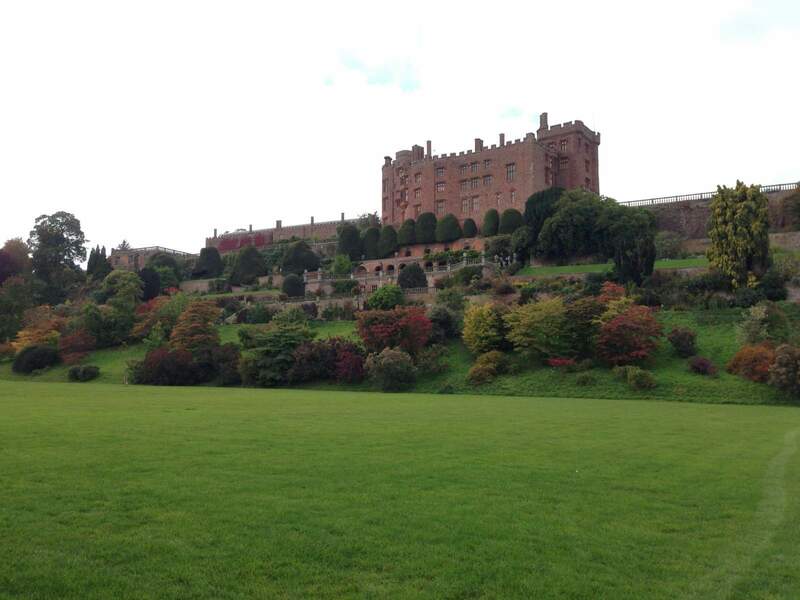 I’ve never been to Powis castle before but look so pretty and so amazing! I love visiting places like this. Ooh, no, that’s not weird; I love a good tree. Have you ever been to Georgia in the US? The trees there are amazing. It’s a proper castle, isn’t it! It’s a lovely colour. The gardens are so gorgeous; I can definitely recommend it, and there are plenty of places not too far away if you wanted to make a couple of days of it. For example we also went to Stratford upon Avon. The idea of visiting the Clive Museum sounds good. I know he was a controversial character but I reckon visiting would be fascinating.